The truth is, there is no such thing as moderation when it comes to junk-food. Nutritionists have warned about the long-term effects of fast food for decades, however, they have just recently discovered that the negative effects of fast food take root much more quickly than they originally thought. In fact, the consequences of eating fast food begins almost immediately, and every time you hit up a fast food restaurant, you leave a little less healthy. A new study published in the Canadian Journal of Cardiology indicates that damage to the arteries occurs pretty much immediately after just ONE junk-food meal. The study compared the effects of a junk-food meal and a Mediterranean-based meal on the inner lining of the blood vessels of 28 healthy, non-smoking men between the ages of 18 and 50. The men’s endothelial function, the ability of blood vessels to dilate, was measured after a 12 hour fast and 2 hours after each meal, one of them being junk-food with 15g saturated fat and 0g Omega-3’s and the other being a Mediterranean-based meal with 8g of saturated fat and 2g of Omega-3’s. Almost immediately after eating a fast food sausage, egg, and cheese sandwich, the men’s arteries dilated 24% less than when the subjects were in a fasted state. Poor endothelial function is a significant precursor of atherosclerosis, which is when the arteries become hardened, causing blood flow to be blocked. This study provides evidence that endothelial function declines after consuming only one junk-food meal, so imagine the arterial damage that occurs from consistently consuming fast food! That “value meal” just dropped way down in value, huh? Poor Brain Function: In order to function properly, your brain needs glucose, which is derived from carbohydrates and other nutrients such as healthy fats and antioxidants. In a study published in Child: Care, Health, and Development, evidence shows that fatty foods can have an immediate negative impact on brain function. 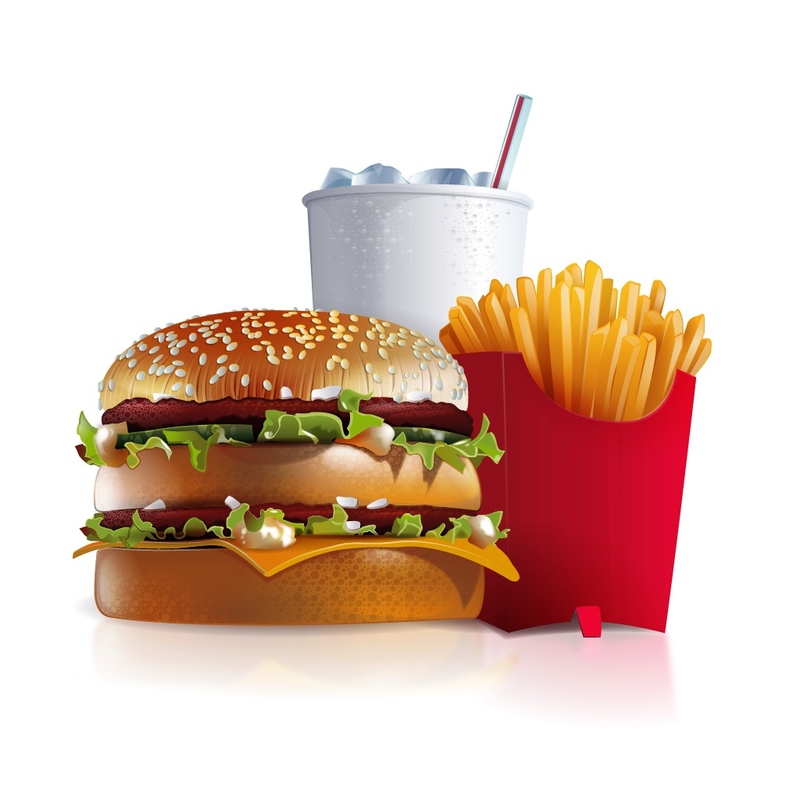 Researchers analyzed the fast-food consumption and test scores in math and reading of 12,000 fifth graders. It turned out, the kids who ate fast food 4-6 times within a given week tested significantly lower than those who did not eat junk-food. Poor Exercise Capabilities: After eating fast food, rats in The Journal of the Federation of American Societies for Experimental Biology study ran 35% less distance than rats who were fed healthy food. According to the National Eating Disorders Association, people who eat fast food often experience poor muscle strength, endurance, oxygen utilization, and coordination. Mood Problems: “The high content of sugar in junk-food causes fluctuations in blood glucose levels,” says dietitian Chowdhary. “This makes [you] edgy, sleepy, and irritable throughout the day and leaves [you] with no motivation to be active.” The chemicals in your brain that promote positive moods, like serotonin and dopamine, rely on food and nutrients in order to function properly. Eating foods rich in antioxidants, like fruits, vegetables, and healthy fats, leads to positive energy and moods, while a diet high in fast foods lacks these nutritional benefits and thus increases the risk of depression. So, the next time you’re craving that quick and convenient fast food, ask yourself if “a large order of moodiness, a side of lost productivity,and poor endothelial function” sounds yummy. Steer clear of fast food restaurants and make your own version of “fast food” by preparing quick snacks and meals in advance that you can grab on the go. Enhancing the convenience of healthy foods like fruits, veggies, and whole grains, will reduce your desire to reach for the bad stuff.